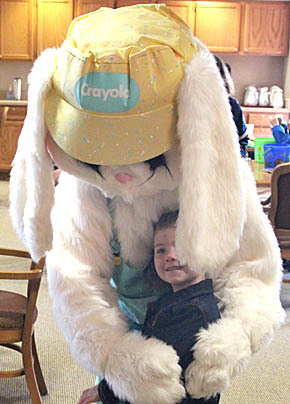 A big hug from the Easter Bunny was one of the attractions for children attending the annual Easter Egg Hunt sponsored by the Albion Chamber of Commerce last Saturday, April 19. About 190 area children scoured the grounds and hallways of Samaritan Estates for Easter eggs. Details and more photos in the April 23 Albion News Print and E-Edition.